While I walked down Victoria Street towards my destination, The Beast to check out their newly launched brunch menu, I can't help noticing the competition in the area. There are Artisry Cafe and Symmetry in the vicinity, so what can The Beast offers to be different from their competition? While the competitors are more focus on their coffee and cafe food, The Beast offers a Southern comfort Sunday brunch menu with a bar boasting one of the largest variety of bourbons in the country and an extensive selection of American crafted beer. Poached egg with toast is pretty common nowadays but poached egg with pulled prok and hash will be something new for most. 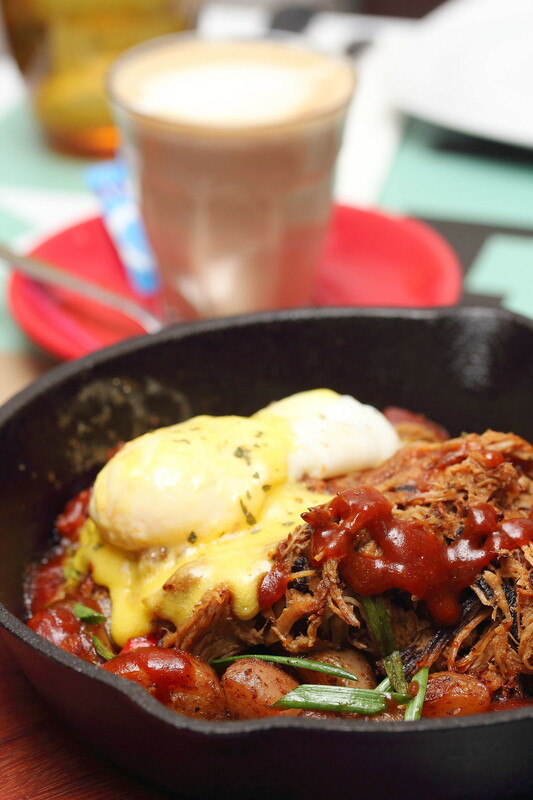 The Pulled Pork Hash ($18) at The Beast comes with pulled pork that is cooked for a good 10 hour, potatoes, poached egg and bbq sauce. In typical Southern style, the portion is pretty huge. While I enjoyed the different components, especially the tender and flavourful pulled pork, I was actually craving for a bun to sandwich the delectable pulled pork. It is no secret that I am not a big fan of sweet and savoury combination. However, it seems like this is catching on and being well received by the younger crowd. If you are a fan of such combo, then you will be delighted with the Chicken and Waffles ($20) at The Beast. Served with a huge piece of Southern fried chicken on top a waffle and a bottle of bourbon maple butter sauce at the side, the southern fried chicken which has been soaked in milk was crispy on the outside, moist and tender inside. 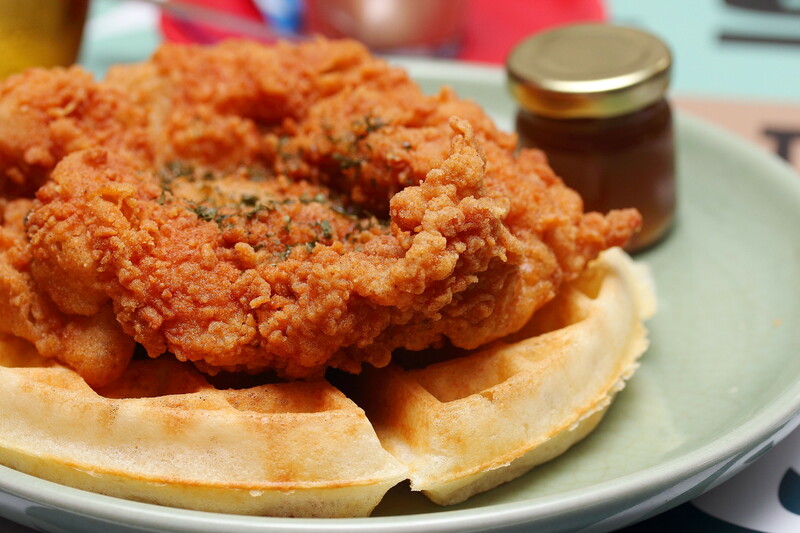 The savoury fried chicken also formed a good balance with the bland waffle, allowing the chicken to be the star. It felt as if I am having a chicken burger for my brunch. 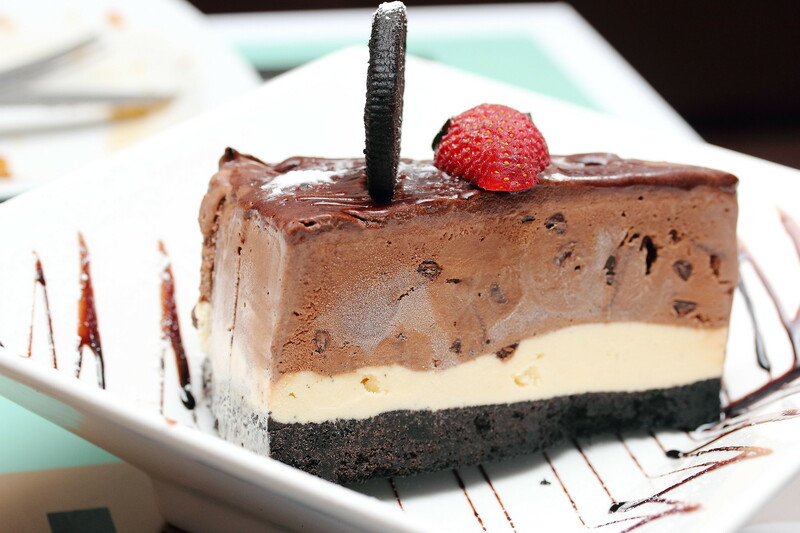 The Mississippi Mudpie ($14) comes with an Oreo crust layered with vanilla bean and triple chocolate ice cream topped with chocolate fudge. A pretty classic dessert that would go wrong. 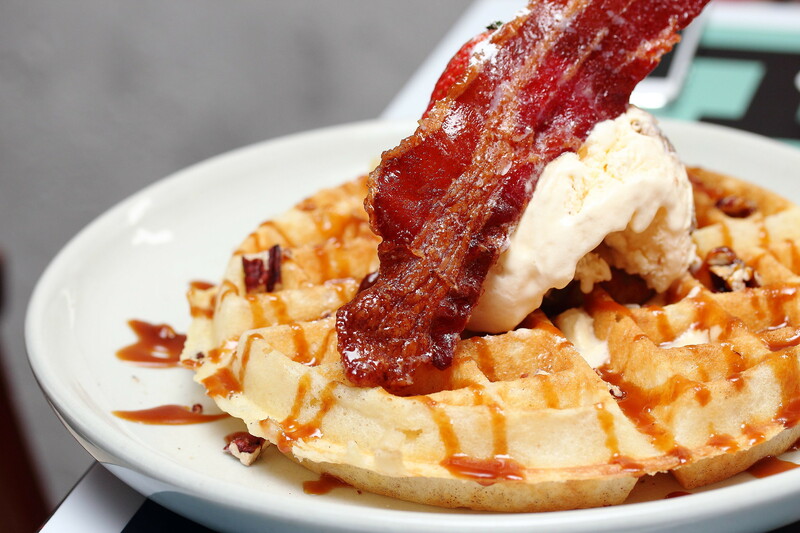 Another waffle item on the menu is the Bacon Waffle Sundae ($12). It comes with candied bacon, pecan brittle, butterscotch, waffle and choice of fig & honey, vanilla bean or triple chocolate ice cream. I though the waffle tasted more buttery compare to the one from the chicken and waffle. Never in my wildest imagination I would have thought the combo actually works for me to go back for a couple more bites. I don't have a sweet note but I totally enjoyed the Bacon Maple Glazed Donut ($5). It may be sinful with all the sugary intake but it definitely worth the sin. 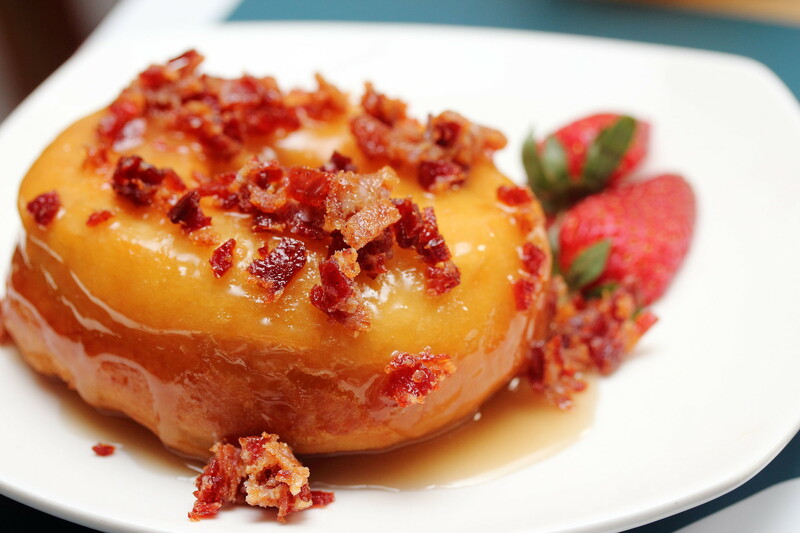 The crispy bacon maples accentuated the whole enjoyment giving the fried dough a lift in more taste and texture. This is a must try. The Breastly Sunday brunch will be worthy for one that has a big appetite with its generous servicing. 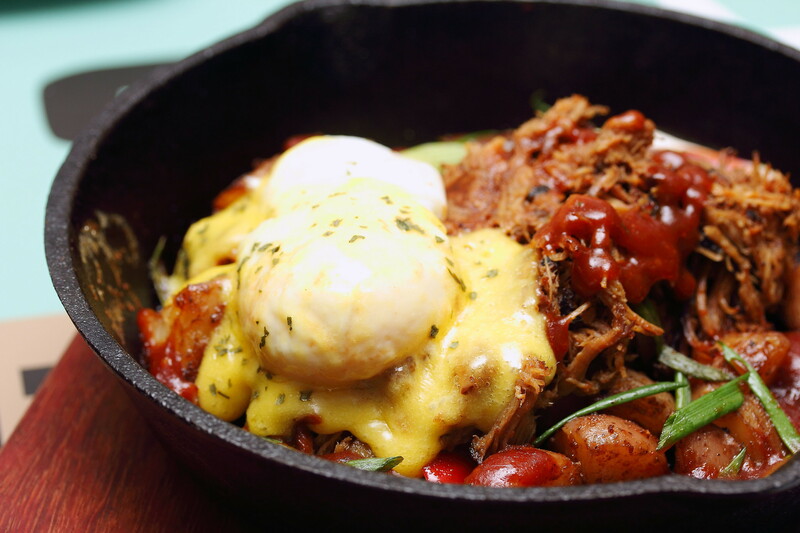 The southern kitchen offering is good change to the usual brunch items. It can't be any more perfect to wash the brunch down a bottle of the Amercian crafted beer. Cheers to Sunday!